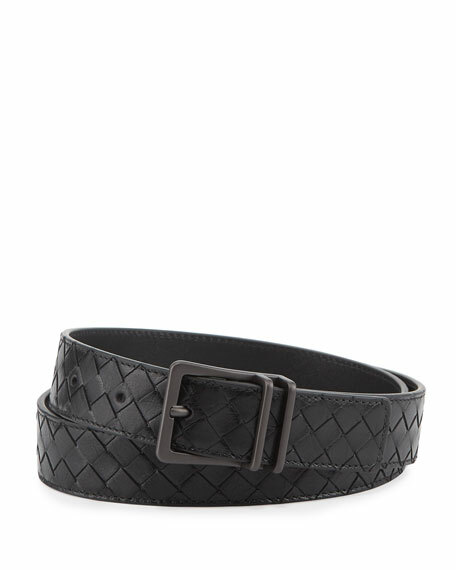 Giuseppe Zanotti specchio leather belt. Silvertone hardware and zip trim. For in-store inquiries, use sku #201120. 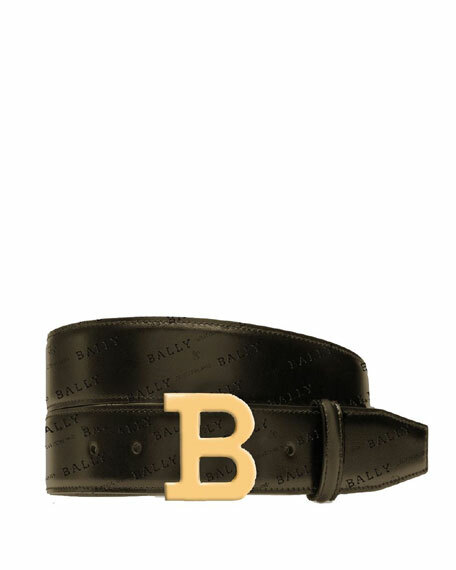 Bally belt in logo-stamped calf leather. 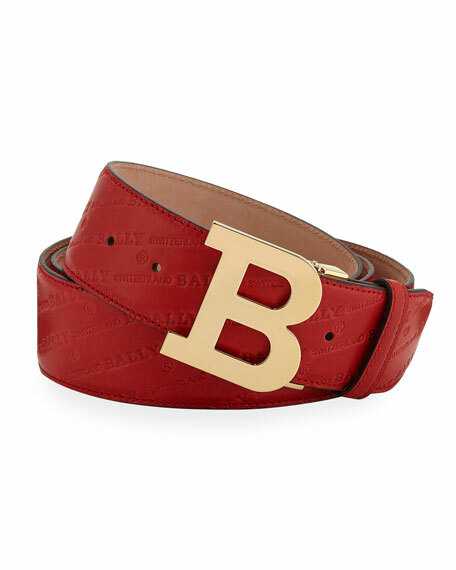 Golden single "B" buckle. Leather keeper strap. Stud adjustment. 1.8"W (45mm). Made in Italy. 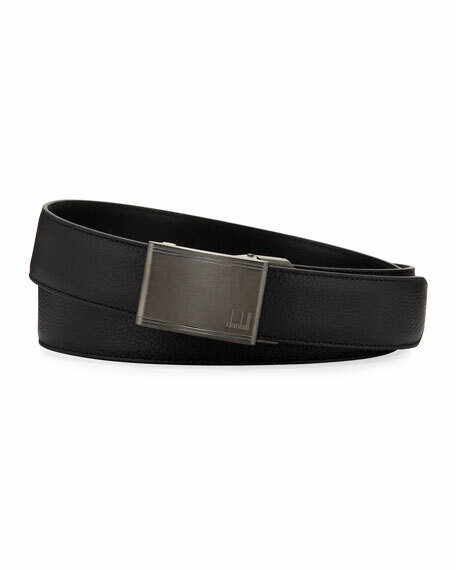 dunhill belt in solid cowhide leather. Ruthenium-plated steel automatic buckle with engraved logo. 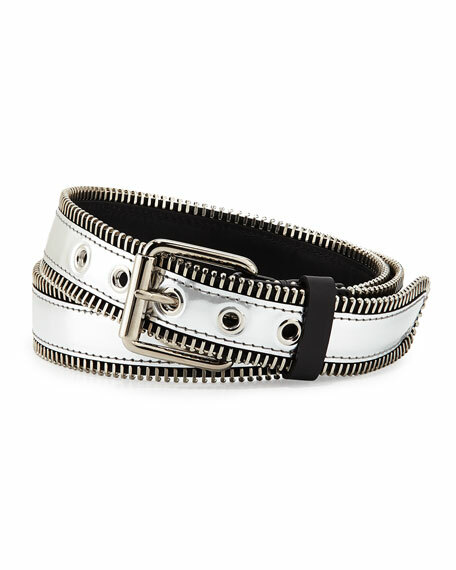 Leather keeper strap. 1.37"W (3.5cm). Made in Italy.